At The Dance Factory, we provide quality instruction for all levels & disciplines of dance. Ballet is the foundation of all dance forms. We offer ballet for all levels. Our classses have a strong classical structure. Combines grace, line and beauty to provide the technical foundation for all dance forms. Dancers will learn how to properly execute Ballet's precise and intricate steps through a series of Barre, Center and Across the Floor exercises. Dancers will be exposed to partnering, variations, pre-pointe, pointe and will perform both classical and contemporary works. 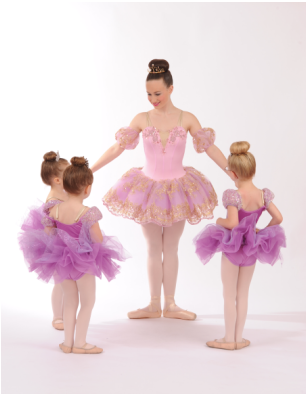 Pointe is offered to those dancers who have shown great dedication to their craft and are at an advanced level. Modern dance was created through an artistic rebellion from the traditional standards of Ballet. Overall movement in modern dance is more grounded with a focus on the torso and flexibility of the spine. Our Modern program has a focus on Horton technique with introductions to Dunham, Limon, and Graham. 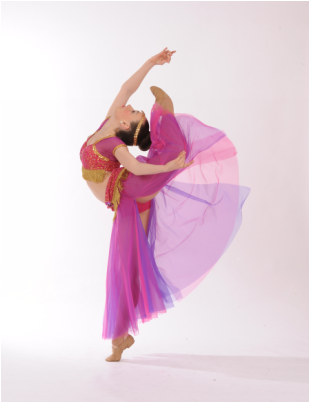 A fusion of ballet and jazz, Lyrical Dance interprets the accompanying music in an emotionally expressive way. The dancers’ movements attempt to illustrate the actual meaning and emotion communicated in the song. This style allows the student to tell a story through their performance. This class focuses on a feeling, and then expresses these various sentiments through movement. This style allows the student more mature artistic freedom. Although formal technique is not the main focus in this class, it is necessary for the strength and poise needed in this art form. Contemporary fuses together many different dance styles such as ballet, jazz, modern, and lyrical. This genre of dance often includes floor work, improvisation and a versatility of body lines and dynamic movements. Contemporary dance is the exploration of the total movement potential of the body. Unlike other forms of dance, it is not bound by set standards or defined styles. Jazz has several styles and rhythms from blues to pop. The various styles taught include Lyrical Jazz, Broadway Jazz, and Jazz Funk.A mixture of many styles reflecting today's pop culture; identifiable by exciting "tricks" and fast paced movement. incorporating elements of Ballet and Modern dance set to popular Music including Lyrical and Contemporary Styles of Dance. Acrobatics teaches floor gymnastics which can be incorporated into dance choreography. Tumbling class focuses on the aerial and tumbling aspect of Acrobatics. Flexibility training will be incorporated into the class with assistance on our wall barres and stretchgym equipment. High Energy! A street influenced type of dance commonly seen in music videos. Mixing Funk and Street Dance styles to create fun and freestyle movement. Exclusive to The Dance Factory, we bring in opportunities for our students to train with the best in the industry from all over the country. Tap is a musical and rhythmic study of sounds and movement together. Our classes offer both rhythm tap and broadway tap. Identifiable by its sound and rhythm, students receive a great workout while studying the coordination and perfection of tap movements. Blends Coordination and Rhythm into a fun and timeless dance form. Tricks & Tech classes consists of learning proper technique to safely execute jumps, turns, and acrobatic tricks. Dancers will learn how to properly stretch and strengthen their muscles in order to improve overall range of motion and control of their bodies. In addition to classical dance technique, this class also involves rhythmic gymnastics, contortion work and RADAR technique elements.